The Compact Camp Table 20™ features a unique one-piece compact design. This table folds to ½ the size of other camp tables. Designed with telescoping legs – just pull down legs for use; push up legs for storage. When legs are extended, this is a great table for two or use as a side table. 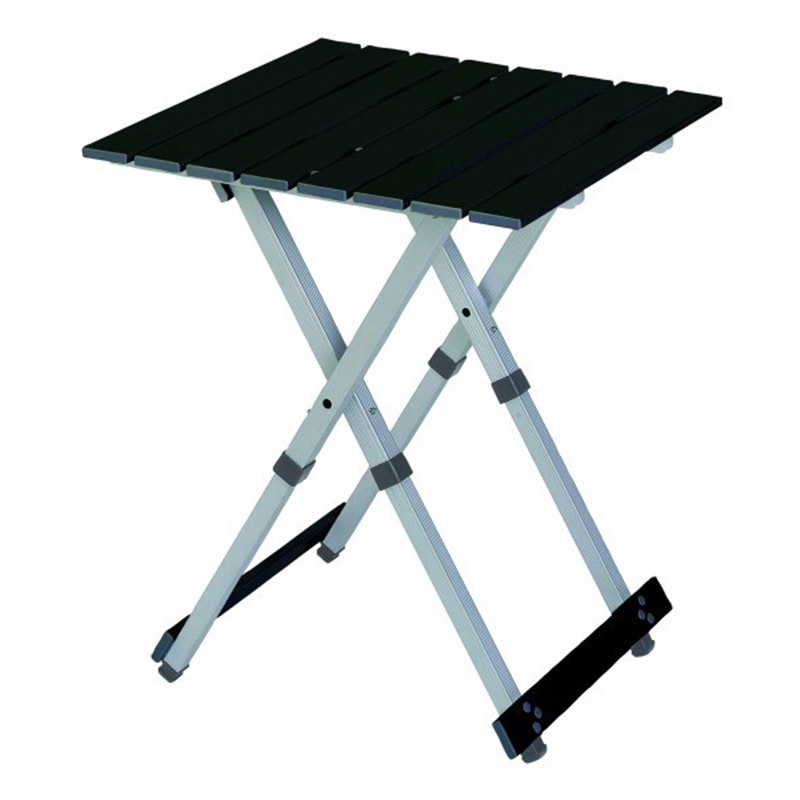 Lightweight, aluminum frame supports up to 60 lb (27.2 kg). Folds up quickly and easily with its patent-pending Squeeze Telescoping Technology™. Just fold the table top down, squeeze the table tops together and push up on the legs to close for storage. Ideal for camping, RV’ing, tailgating, fishing and sporting events.